There was a packed house at The Bronx Bar & Barbecue for this latest promotion by the Teignmouth Jazz and Blues Club. The Bronx is a friendly venue with a range of stimulating beverages (including a certain excellent Antrim-distilled whiskey) and tasty food provided by helpful and obliging staff who deftly deliver orders without disturbing the music. And yes, the acoustics are good too. 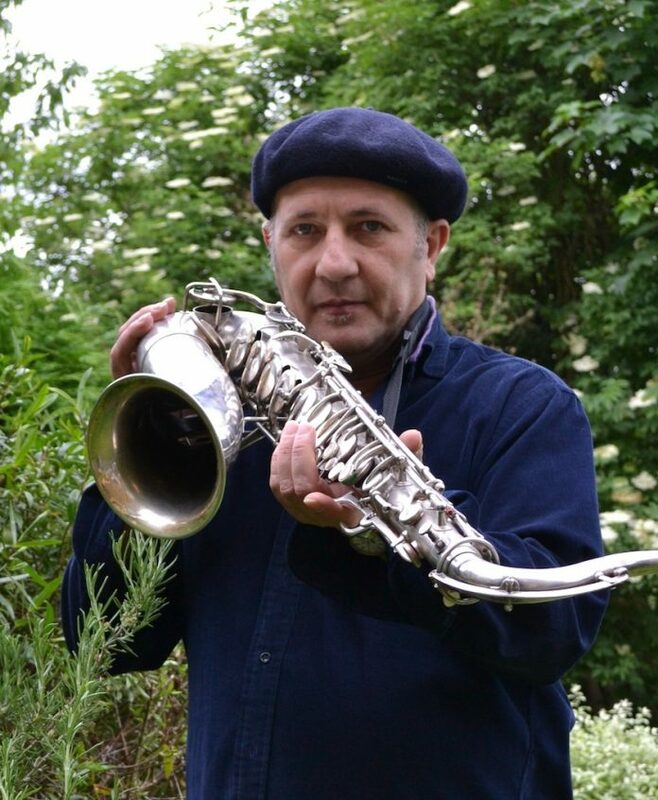 D’Aiello, the Naples-born, Berklee-trained, long London-based saxophonist, was backed by the Craig Milverton Trio – Milverton (p), Ashley-John Long (b) and Coach York (d). The trio is understandably the go-to backline for many touring soloists as well as having a life of its own. Milverton himself would be a formidable rhythm section, filling his compelling solos with witty quotes and rich chords, developing them with a powerful drive that never descends into relentlessness, whilst Long and York can match any challenge. At the Bronx the band proved again that it can turn on a sixpence – whatever that is – slipping in and out of rhythms, tempi, moods and even styles without derailing the logic of a tune’s development. Here and there they embarked on tempi so ferocious that I suspected they’d signed up to the venerable grindcore creed “play fast or die”, yet they never lost control or coherence. D’Aiello shares Sonny Rollins’s taste for discursive solo perorations (or long and winding codas, if you prefer) and unexpected yet musically pertinent quotations. (Milverton is no slouch at those either.) The most extravagantly ingenious example came at the end of Rhythm-a-ning, closing the first set. The choice of tunes was well-mixed and nicely balanced, including the traditional tenorists’ test-piece Body And Soul, Autumn Leaves, Quiet Nights, Cherokee and a version of Moanin’ which would have done the Jazz Messengers credit. Renato D’Aiello at The Bronx Bar, Teignmouth, Devon, 4 April 2019.